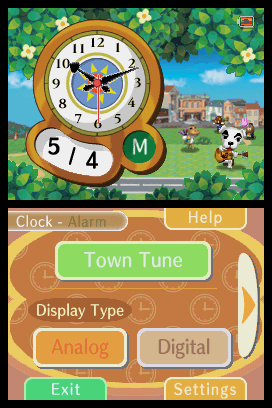 Enjoy the atmosphere of Animal Crossing in a whole new way with Animal Crossing Clock. 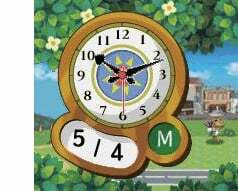 Select from either an analog or digital clock and set up to three alarms (with snooze functionality for those who need it). 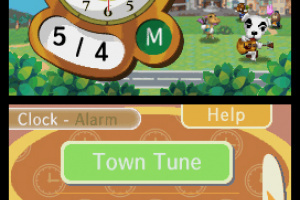 Make your own Town Tune or use sounds created in Nintendo DSi Sound, then assign them to the alarms you've set. 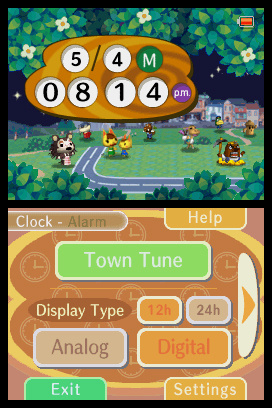 Use the system's internal clock or offset the time however you like. 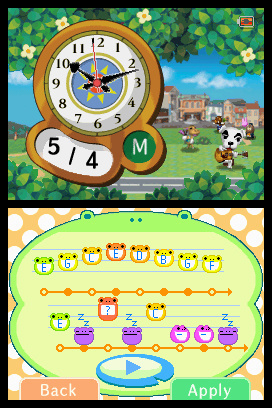 Then sit back and watch as different characters from Animal Crossing appear and the color of the sky changes as time passes. You'll never miss an important appointment with one of your Animal Crossing friends again. 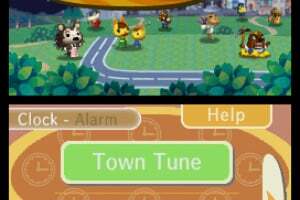 Nice way to rip people off, Nintendo. Are you serious? 2 bucks for this? What could have been a nice little present now is nothing more than a travesty. yeah 2 dollars... what wrong with that? 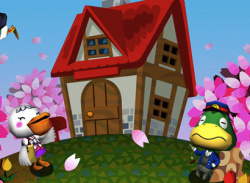 If you like Animal Crossing its not bad. If it was a Zelda theme I would buy it in a minute!! And its only a rip off if you buy it. So don't buy it and you won't get ripped off. Why is this not free?!? 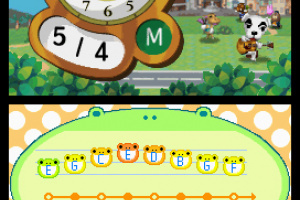 As i said about the calculator, I will buy the mario one, but not an animal crossing one. Well, I'm convinced...when it gets released here, I'm picking this one up!